Address: 4201 W Apperson RD. 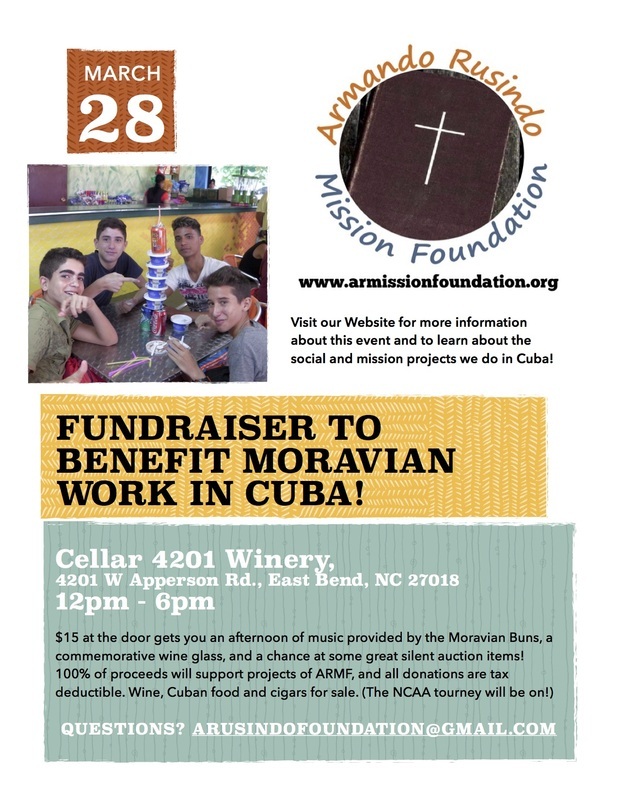 We are excited to invite you to join us at Cellar 4201 on March 28th for a great day of entertainment, food, and raising money and awareness for the work of the Moravian Church in Cuba! The Moravian Buns will be providing musical entertainment. Cigars, wine and Cuban food will be for sale. Come ready for the silent auction! Learn about the projects the ARMF is taking part in! See you there!